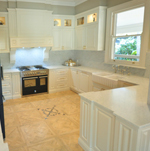 From the moment you contact us, we will guide you through the process of building your dream kitchen. We work with you on every stage of the design to ensure a perfect outcome. 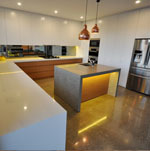 We have literally helped hundreds of clients in Sydney achieve their special, once off – custom kitchen with the best quality and style that money can buy – we guarantee our products and services will impress you. Fill in as much information as you can below, and we will contact you for a free no obligation consultation. Which postcode are you based in?